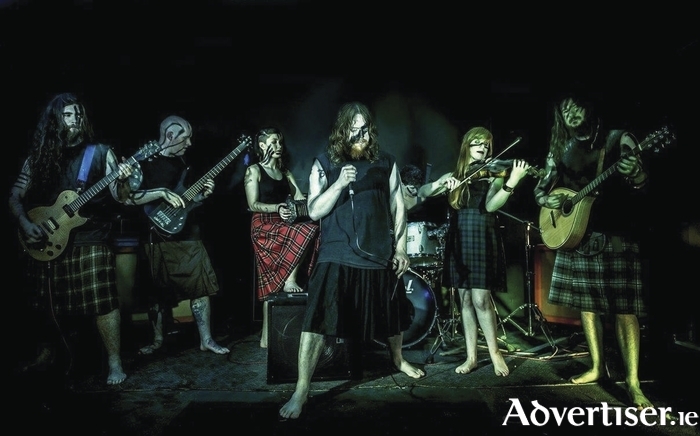 NA CRUITHNE, the Galway folk-metal band, have made it to the final of the prestigious Metal 2 the Masses competition in Dublin, which takes place in Fibber Magees in Dublin this Saturday. The band is hoping to follow in the footsteps of fellow Galwegians Ten Ton Slug who won the 2016 competition. Na Cruithne will be competing against zhOra, The Devil Wants Her Swagger Back, Call to Arms, Antidotes, and Sectile. Winners of the competition land the chance to represent Ireland in the Bloodstock Open Air festival in England in August. Na Cruithne, who fuse groove and black metal with the traditional musics of Ireland, Scotland, and Brittany, released their debut album, Gairm an Fhiantais, last year. Page generated in 0.1499 seconds.